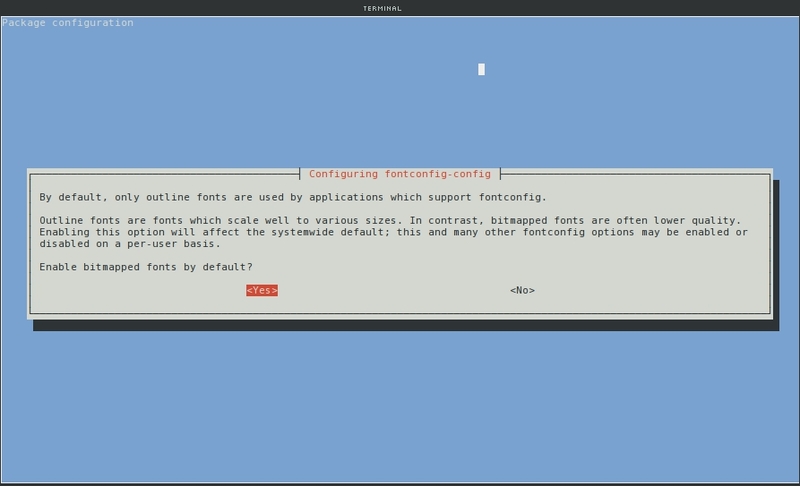 once they show up in xfontsel, you can use “use_xft no” and specify the font in the format provided by xfontsel. Great tutorial! I can’t even begin to imagine the trial and error it took to set all those steps and all that syntax correct. Note that for Debian Jessie, the “xset” command needs to go in ~/.xsessionrc instead of ~/.xprofile or ~/.xinitrc. Muchísimas gracias, funcionó en Devuan ascii. Lo único, que al final vi que no tenía ningún archivo .xinitrc ni .xprofile, en cambio, sí tenía el .profile en mi /home.